A piece of SHE ...: Dear God, Thank You For 2013 - The Year Of Many Firsts! Dear God, Thank You For 2013 - The Year Of Many Firsts! Last year while I was saying Goodbye to 2012 I was scared about the tears I would have to shed in 2013 and at the same time I was excited to welcome the happiness that God has planned for me with the open arms. 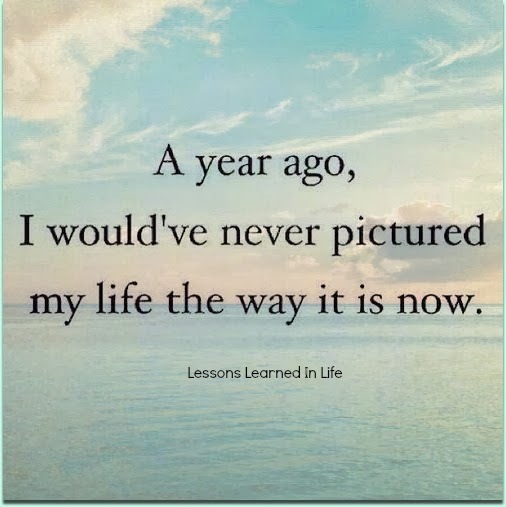 Its time to look back and review the life I lived this year. 2013 has become one of the memorable year of my life.Even after 20-25 years I would talk about "2013" to my kids and grand children. My life changed with a phone call in January 2013. It was a call from my husband’s parents in the early morning. They wanted to fix a date for our wedding. My dad waited for this day for so long but when it finally arrived it brought tears in his eyes. It was tears of both happiness and sadness. I guess life is all about that. You get some and you lose some. Walking hand in hand with my husband in the sands of Goa beaches…. Hugging my husband whenever I feel low or feel love for him….sleeping beside him. These are very special and new feeling which I experienced finally this year. I had been waiting for these small and special moments all my life. For the first time I left my family. 2013 gave birth to a new “me”. I am not what I used to be. I am yet to know this new me. Sometimes I understand it and sometimes I don’t. And you fight a strange battle when you don’t understand yourself. Few old pieces of me still remain though like no one can take away my basic rights, no one can tell me how I should live my life If I am not doing anything wrong and my family ( my parents, my sister, my niece , my uncle, my grandmother) is an important part of my life…no one and nothing can change that. together. He is my baby and I love him most. Thanks to God I haven’t lost anyone this year or none of my friends became stranger. But I met many new people and I am glad to meet them in my life. Size of my family has grown and I would like to thank God again for the awesome father and mother in laws. Thank you God for keeping my friends and family safe and healthy in 2013. Hope everyone would get your blessings in 2014. Are you thankful to God for 2013? Please share in the comment section below why or why not? Feb: Surprise gift from my husband on Valentine’s Day and met my best friend after one year and don’t know when I will see her next. Changed my relationship status on 10 feb to “in a relationship”. June: Don’t remember. May be I was shopping like crazy for my wedding and attended a friend’s wedding. July: was going through huge emotional changes. August: got married to the love of my life and went to Goa for honeymoon. October: celebrated my first durga puja after marriage with in laws. November: Halwani trip and first diwali in Halwani. Hmmmm I think I have totally lived 2013 and I have no regrets this year!!!! What a spectacular year you've had! Memories you'll treasure forever. Wishing you more of the same in 2014. Wow, and hasn't it gone by very quickly? I hope 2014 will be even more blessed for you, and it will open up great doors of opportunity.